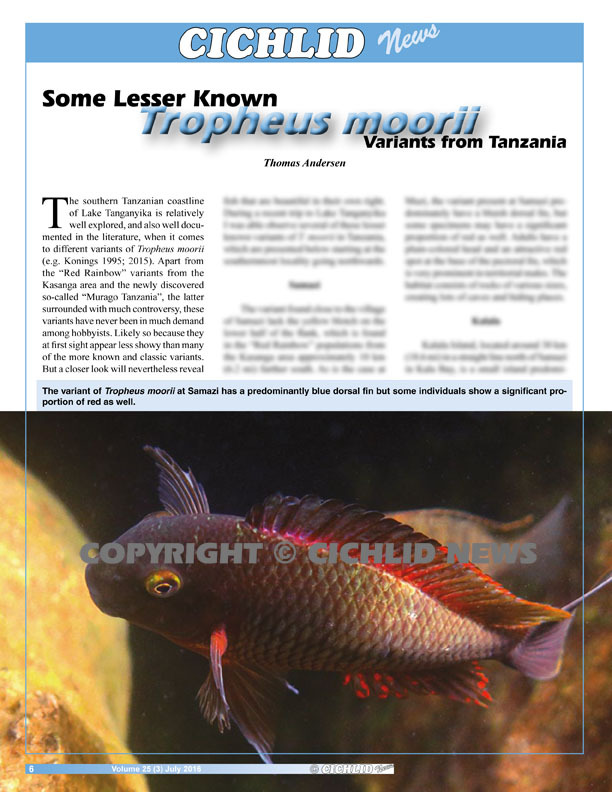 Tropheus moorii by Thomas Andersen. Variants from Tanzania. Nanochromis minor by Oliver Lucanus. 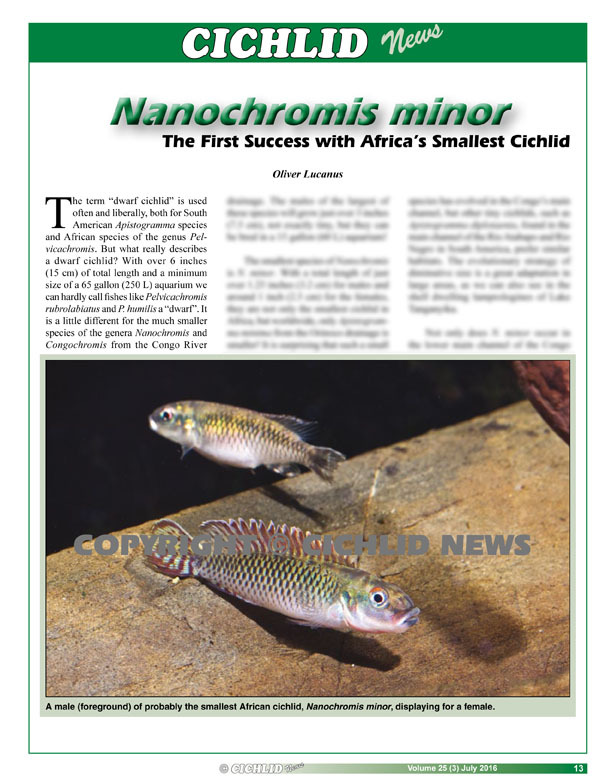 Africa’s smallest cichlid. 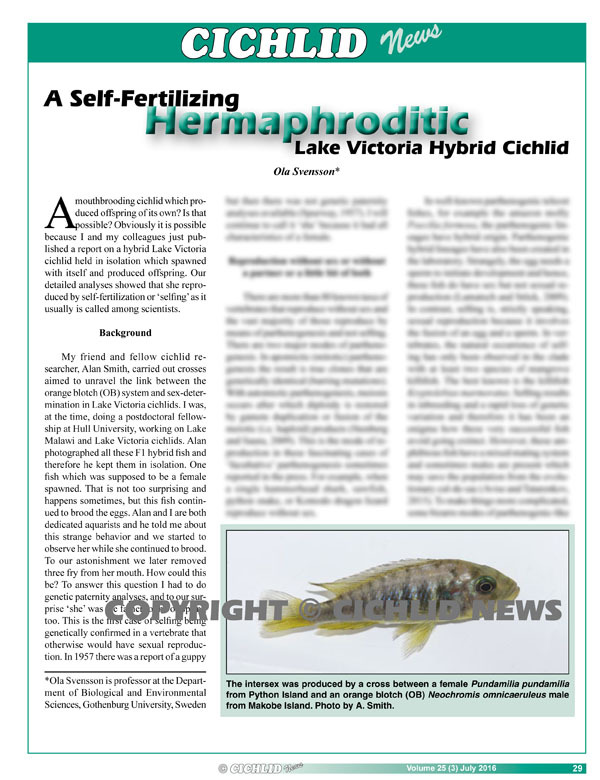 Yssichromis sp. ‘blue tipped’ by Greg Steeves. 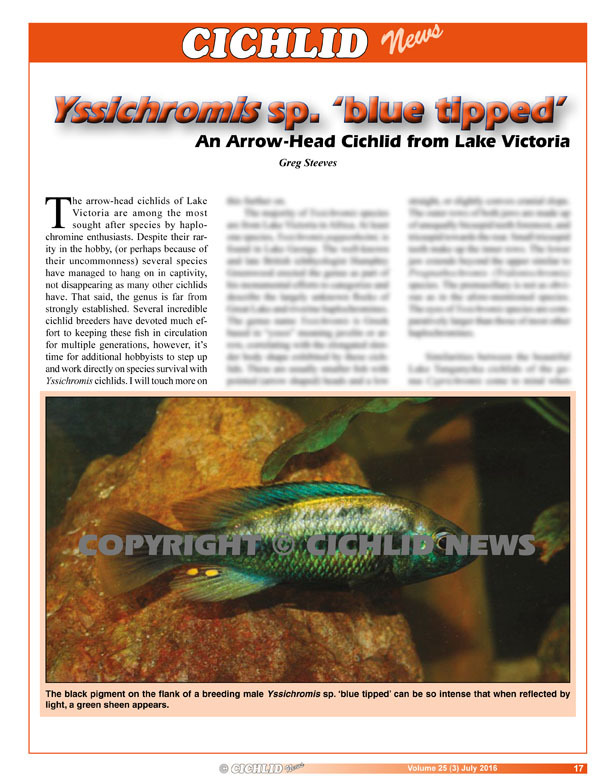 A Lake Victoria arrow-head. 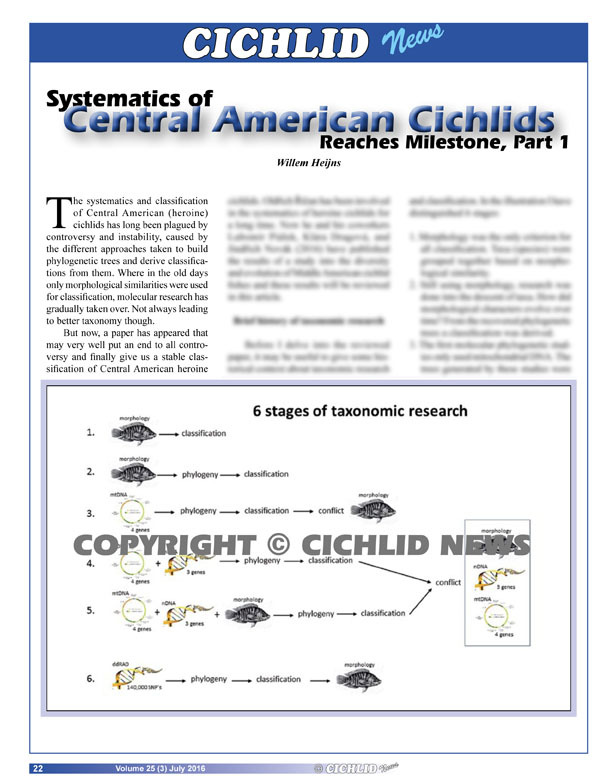 Central American Cichlid Systematics by Willem Heijns. A new revision of the Heroines. 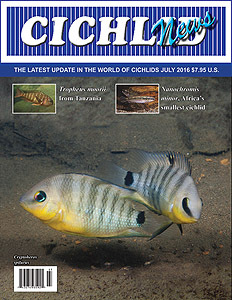 A Hermaphroditic Cichlid by Ola Svensson. A “selfing” hybrid Victorian. 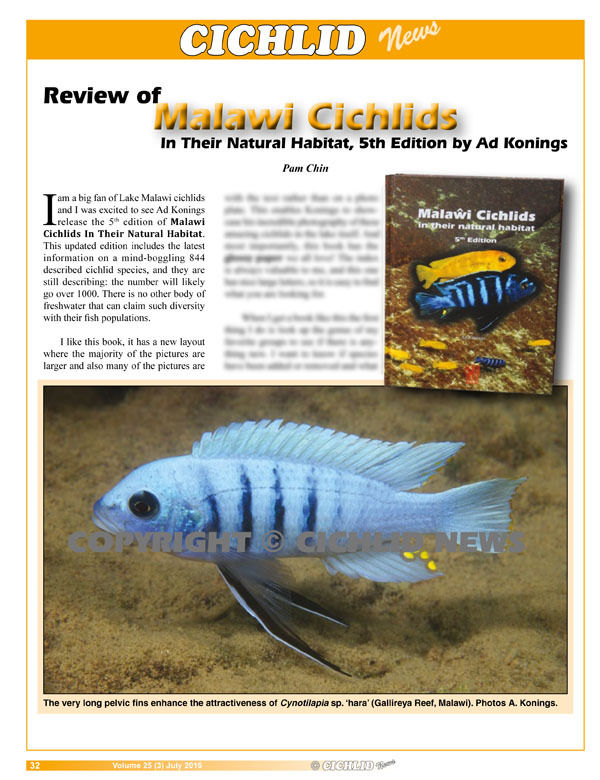 Malawi Cichlids 5th Edition — Book Review by Pam Chin. A review of Konings’ recent book. 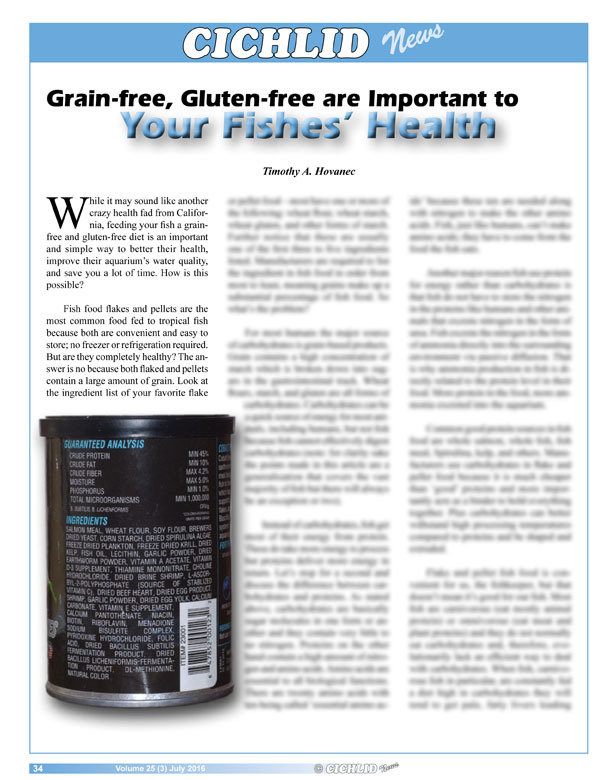 Cichlid foods and health by Tim Hovanec. Grain-free and gluten-free foods. Copyright© 2016 Aquatic Promotions, Inc. All rights reserved.